From Slovenia to Turkey, social movements and protests have shaken the political systems of Southeast Europe. Confronting issues such as austerity, the provision and privatisation of welfare, public utilities and public space, corruption, bureaucratic inefficiency, environmental concerns and authoritarian tendencies, these revolts have also served as conduits for broader social and political discontent. While they have contributed to the defeat of unpopular policies and practices and the fall of governments, perhaps their most significant impact has been in creating dynamic political and social actors and contributing to the realignment of the political space. This volume sheds new light on the wave of protests and emerging social movements. Placing individual protests in a wider context, it highlights connections between different social movements and discusses parallels with similar movements from recent history. The contributors include both well-established scholars and up-and-coming researchers who engage with both activist and academic perspectives to identify the similar and varying dynamics of both the protests and the governments’ responses to them. Building upon studies of social movements, the book will be of interest to scholars examining political dissent, protests and mechanisms of mobilisation in the region. 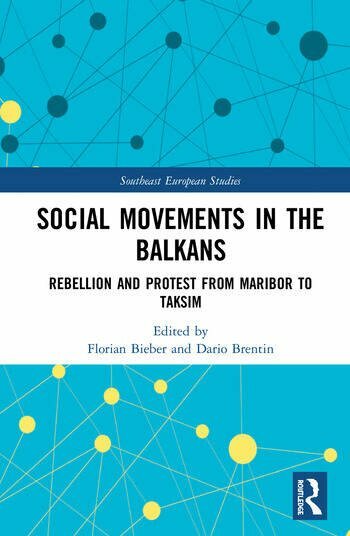 Introduction - Social Movements and Protests in Southeastern Europe. A New Tragedy of the Commons? Maribor’s Social Uprising in the European Crisis: from Anti-Politics of People to Politicisation of periphery’s surplus population?